EASTON, Pa.(www.lafayette.edu), September 2, 2009 — DARKNESS DESCENDS: Norwegian Art Now, running through Oct. 9 in the Grossman Gallery, delves into the uniquely Norwegian style of neo-romanticism in contemporary art. The exhibition brings together a multidisciplinary group of artists to explore the fascination with darkness inspired by mythology and a close relationship to nature. The exhibition includes drawings, photographs, paintings, sculpture, video, and sound pieces by Thora Dolven Balke, Halvor Bodin, Lars Elling, Anki King, Sol Kjøk, Ingvild Langgård, Are Mokkelbost, Rune Olsen, Anne Katrine Senstad, Elise Storsveen, Kjersti Vetterstad, Marius Watz, Liz Wendelbo, Jana Winderen, Monica Winther, and Munan Øvrelid. From curator Christina Vassallo's statement: These photographs are the continuation of Senstad's series of male Norwegian portraits; in both series, Senstad channels the public perception of Norwegian culture and identity as they are formed through fact and fiction. A quote from Thure Erik Lund's essay "On the Hell of Being Norwegian," which was included in Senstad's first book, is the best way to end this description of DARKNESS DESCENDS, although it further mystifies an understanding of Norwegian art: So, who are we really, we who claim to be real Norwegians? As a consequence of our nature, we extremely rare really genuine Norwegians are, strangely enough, not interested in defining ourselves, as either one or the other type of Norwegian. Rental of a lot in the Lower 9th Ward, New Orleans or $ 1 for 6 months from the City of New Orleans. 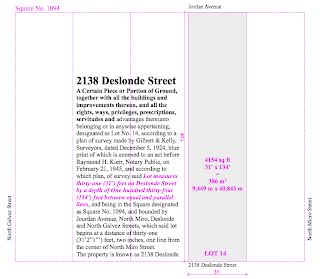 Laying out the Pink Pattern, which means the outline of the previous house - a footprint of the former house that disappeared after Hurricane Katrina and inhabitants displaced. Footprint created May 10th and 11th . Documentation conducted for later usage. Oct 2009 – documentation and removal of the Pink Pattern footprint. Lease with The City of New Orleans ends. In collaboration with Life is Art Foundation/KKProjects, New Orleans and Triple K and M Farms, Theriot, Louisiana. Sugarcane Labyrinth has grown to full height by August 2009, reaching 10-12 ft height. Open to the public. End of October – the official opening and opening reception event hosted by Anne Senstad, Life is Art Foundation/KKProjects, Triple K and M Farms and local companies. November/December 2009 – harvesting of the Sugarcane. Exhibition of documentation material, video and photography based work and documentation catalogue/artist book to follow. 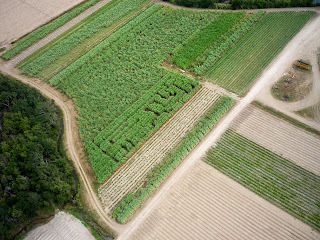 The Sugarcane Labyrinth is a 1-acre (4000 sq meter) living sculpture/agricultural land art piece placed on a farm in Theriot, Louisiana - Triple K & M farms. In correspondence to the Land Art piece in Theriot, there will also be a smaller Sugarcane footprint outline of a Hurricane Katrina damaged house in the Lower Ninth ward, which refers to the agricultural living sculpture as a natural time based piece and a natural memorial. Both versions will have opening receptions in late October 2009. Dates to be announced. The idea around creating an agricultural land art piece, is to demonstrate agricultural sustainability in order to create awareness about farming culture as a path to local and urban sustainability, as well as the idea of introducing agriculture back into the urban environmental infrastructure, to share an agricultural awareness as a way of survival in times of economic failure, and re building local urban environmental support after natural destruction. 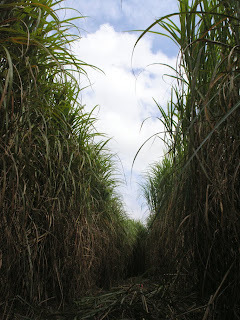 In addition to the aesthetic properties, the choice of Sugarcane for the Labyrinth is based on local agricultural farming culture in Louisiana, as well as the usage of sugarcane for ethanol production as transportation based fuel (bio fuel) and for human resource and consumption purposes such as sugar, rum and sugarcane juice production as local industries. Please note that sugarcane for ethanol production and for human consumption are different species. The Labyrinth itself is a literary and mythical symbol of "the Path". 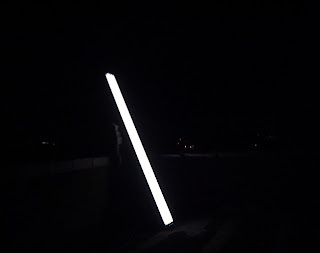 It can be famously traced back to Greek mythology, in iconic mysticism, and seen in spirituality, as "The Path to enlightenment", as well as the path through life and a symbol of the universe in literature. It is a game and an architectural landscape construction for people to interact with, wander through as well as create aesthetic value. 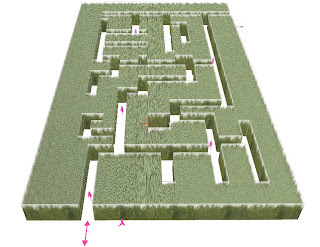 The wilderness experience of the Sugarcane itself, growing to 12 foot high and the walls being 6-12 foot wide, will for the participants be experienced as an overpowering sense of nature, recreating the notion of loss of direction and confusion. Anne Katrine Senstad is an internationally working Norwegian artist based in New York. 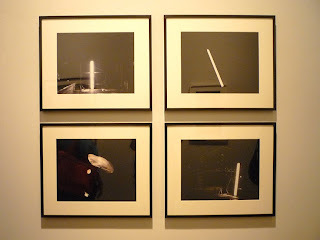 She is represented by Gallery Nine5 and Bjorn Ressle Gallery in New York, and KK Projects in New Orleans. 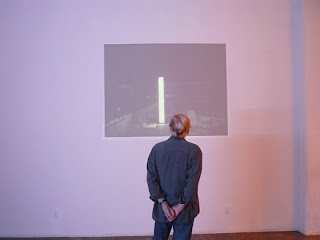 She has exhibited internationally at Zendai Moma in Shanghai, Galleri JMS in Oslo, Norway, Houston Center for Photography, Gary Snyder Gallery, Gallery Nine5 and Bjorn Ressle in New York and with KK Projects in New Orleans during Prospect 1. Art fairs include PhotoMiami, Diva Paris, Scope Miami, Sao Paolo contemporary art fair. 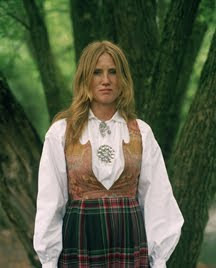 The Norwegians,Volume Two - Women consists of 52 portraits of Norwegian women as a part two of the book project The Norwegians, published in 2005. Essays by Kjetil Røed and Malin Barth. The book is published with support from The Norwegian Council for Cultural Affairs and The Norwegian Federation of Craft Enterprises. 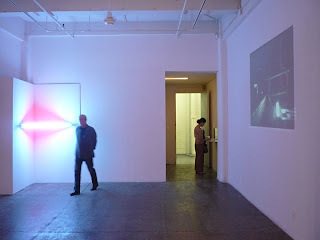 An exhibition inspired by Dan Flavin’s masterful exploration of light, shows today’s contemporary artists continued use of light in painting, sculpture, photography, video and drawing. 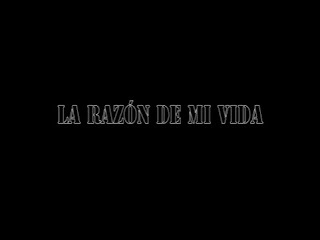 Site Specific Installation - “LA RAZÓN DE MI VIDA - THE REASON FOR MY LIFE” , Light installations at The Eva Peron Museum, Buenos Aires. Curated by Andrew Utt.